I learned something. This is the thing I learned while learning stock investing. And I think it goes very well with trading in forex. I used to hear a lot of people saying this and I have never really understand the deeper meaning in it. Its about trading when there’s news. A lot of traders have been saying that to never trade the news. And I have been a victim of greed over the past week. I try to anticipate news releases and have been wrong many times in doing so. I may have been right a couple of times, but results from news doesn’t last long enough to earn substantial profits. I realized I was chasing something that I won’t be able to reach. And decided to trade only currency pairs that are not in the risk of news. I’ll let the news pass then I’ll return. Because of me, chasing the news, I realized I missed some great opportunities like in the currency pair NZD/USD. I was so caught up with EUR/USD, I missed the trend. It might not actually be a late time to enter but you get my point. Never trade the news. Go to currency pairs where there are no risk of news affecting it. Or in the words of stock investors, invest in obscure companies that are being ignored by professionals and traders. 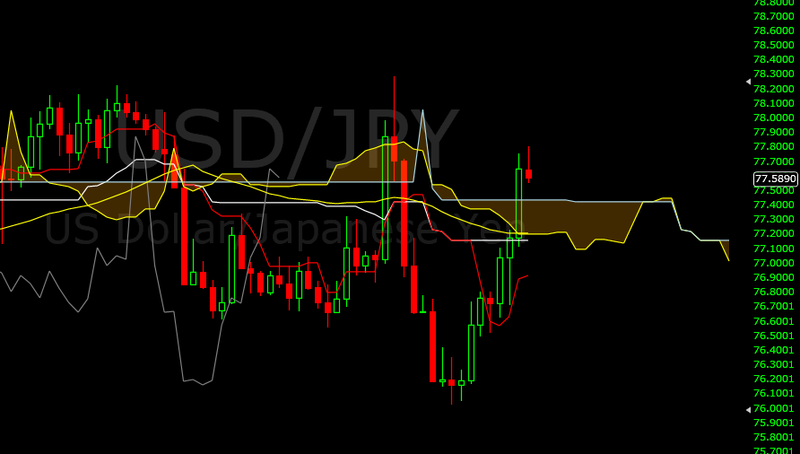 I made money trading the USD/JPY on its way up. And got back to break even from the losses of EUR/USD hunting for the news. I’m still in good condition and still on my way to realizing my goal. USD/JPY could probably retrace now. Keep in mind though, if you’re going to take the short side, Bank of Japan have expressed their eagerness to intervene should the pair goes further down. Keep your stop losses tight. On a weekly note for this pair, its more of a sign to go long. I’ll try to catch the bottom of the retracement for the daily to enter. That position is less risky because you have BoJ on your side. The only problem now is the USD’s news affecting the currency.